Haunted by the specter of alcoholism and dereliction in his family, a young man struggles to find his place in the scheme of things in a big city, first in Berlin then in Chicago, which provides the backdrop. Recollection of your own search for love and stability provides the glue, and this light-handed treatment of a precarious life stage provides the entertainment. Like his protagonists, William Geuss has lived in many places in the course of career stints as teacher, social worker, software marketer, and translator — including Germany, Switzerland and Chicago. 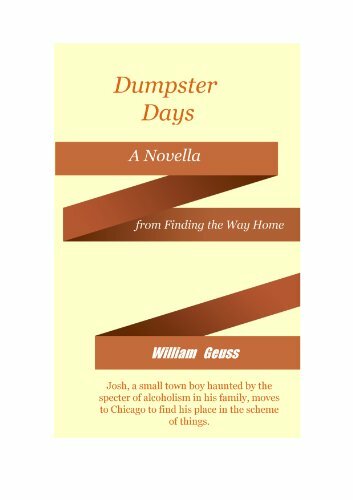 Dumpster Days, a novella, is part of his first collection of stories – Finding the Way Home.